Toshiba has begun shipping samples of its third-generation 3D NAND flash chip technology, which stacks 64 layers of flash cells and has 65% greater capacity than the previous generation technology, which used 48 layers. "This increases memory capacity per silicon wafer and leads to a reduction of cost-per-bit," Toshiba stated in a statement. Based on a vertical stacking or 3D technology that Toshiba calls BiCS (Bit Cost Scaling), the company's NAND flash memory stores three bits of data per transistor, meaning it's a multi-level cell (MLC) flash chip. It can store 512Gbits (64GB) per chip. Part of its BiCS flash product line, the new chips also store 3 bits of data per cell with the ability to store 512 gigabits (Gb) or 64GB per chip. Toshiba's second-generation BiCS flash chip held 256Gb (32GB) of capacity. The new technology will enable a 1TB chip that will be used to create enterprise and consumer SSDs, the company said. Mass production of the new 512Gb chip devices is scheduled for the second half of 2017. The next milestone in the BiCS flash development roadmap will be the industry's highest capacity chip, a 1TB product with a 16-die stacked architecture in a single package -- in other words, 16 of the 64GB chips. Tosbhia said it plans to begin shipping samples of its 1TB chip in April. 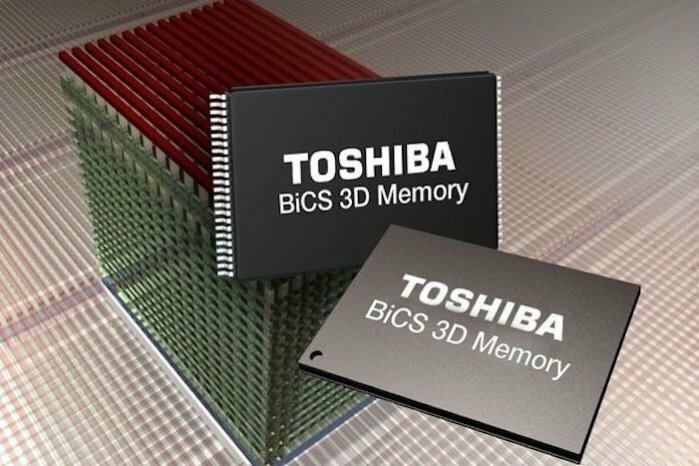 "The introduction of our third-generation BiCS flash coupled with the industry's largest 1TB chip solution strongly reinforces Toshiba's flash memory leadership position," Scott Nelson, senior vice president of the company's memory business unit, said in a statement. "These innovations underline our commitment to developing leading-edge memory solutions, and we will continue to advance our 3D technology to meet the ever-increasing storage market demand." In addition to the new 512Gb chip, Toshiba's BiCS flash lineup also includes a 64-layer 256Gb (32 gigabyte) offering, which is already in mass production. 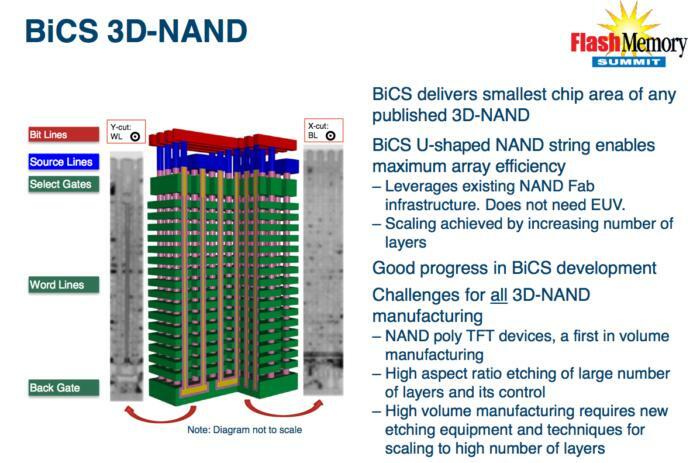 Based on a vertical stacking or 3D technology that Toshiba and partner WD developed, the latest BiCS (Bit Cost Scaling) technology stores three bits of data per cell and stacks those cells 64-layers high. 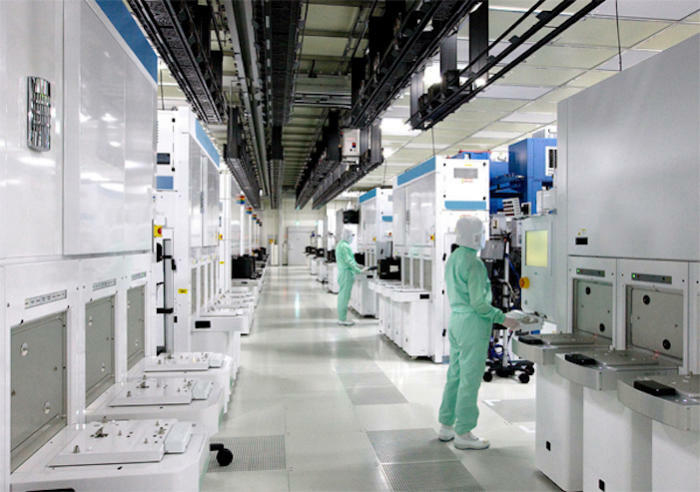 Toshiba recently announced that construction has begun on a new state-of-the-art semiconductor fabrication facility, Fab 6, and a new memory-focused R&D center, at Yokkaichi Operations in Mie Prefecture, Japan. Fab 6 will be dedicated to the production of the company's BiCS flash memory products. 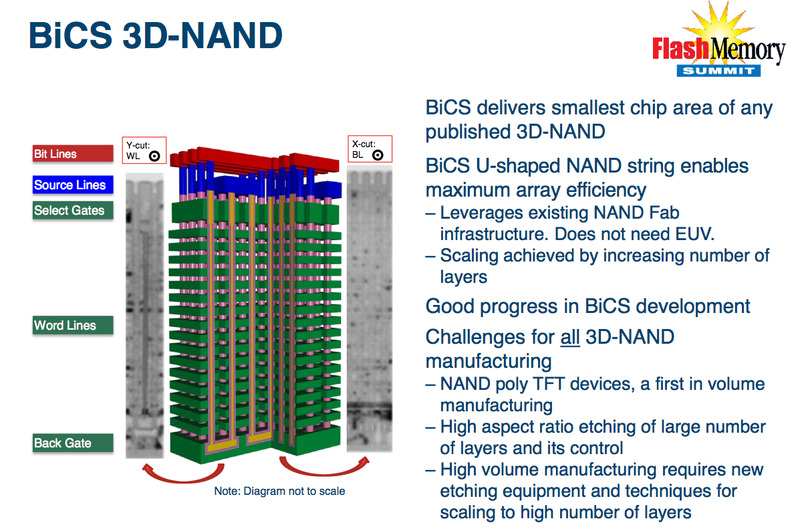 The company, which invented NAND flash in the early 1980s, announced last month it was exploring spinning off its memory business, which includes its 3D BiCS technology line. Nikkei's Asian Review reported that Toshiba had been considering spinning off its semiconductor operations and selling a partial stake to Western Digital (WD), "as it tries to cope with a massive impairment loss in its U.S. nuclear power unit." Toshiba today announced it remains undecided about the sale of its memory business. The move to spin off its memory business into the "Toshiba Memory Corporation" is designed to help it grow using the investments a partner could make, the company told investors. Toshiba and WD already jointly operate memory fabrication plants, such as the Fab 2 plant located in Yokkaichi, Japan. "Splitting off the Memory business into a single business entity will afford it greater flexibility in rapid decision-making and enhance financing options, which will lead to further growth of the Memory business," Toshiba said in its announcement today. According to a news report, Foxconn, Micron and SK Hynix are among those bidding to purchase Toshiba's memory business. When the move was first announced in January, Toshiba had planned to sell off less than 20% of the memory business' shares to raise the cash it needed to remain solvent. At a board meeting today, however, the electronics giant indicated it would likely approve the sale of a more than 50% stake, according to the Asian Review. "Its financial woes worsened dramatically with the prospect of massive additional write-downs in its U.S. nuclear power business," the report said. 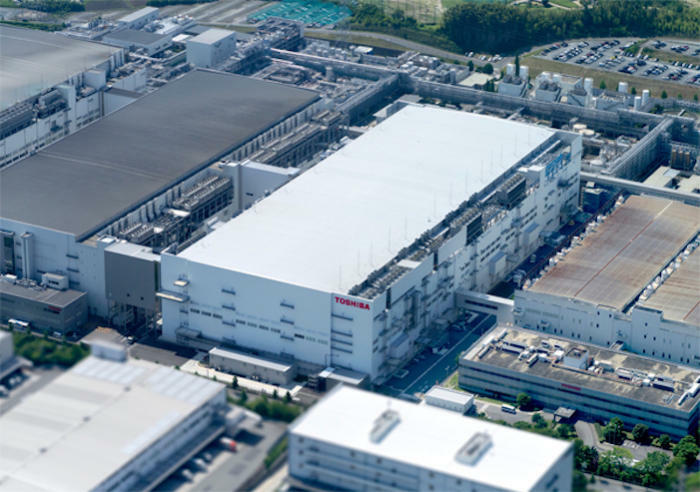 Toshiba's and Western Digitals Fab 2 NAND flash manufacturing facility in Yokkaichi, Japan. Toshiba's solvency and fundraising ability are presently in doubt because of a $1.9 billion accounting scandal and a huge loss related to the nuclear plant purchase. "Its financial problems were a major drag on the growth of its memory business," Sean Yang, research director of DRAMeXchange, said in an earlier interview with Computerworld.